Every year, auditions are held at Batavia High school to determine what band each student gets placed in. Students of all instruments practice for hours upon hours to prepare for their chance to claim a spot in Wind Symphony, the most selective band at BHS. But how good does one really have to be to claim a place in the top band? Just getting a spot in the band is hard enough. According to Josh Tharp, a horn player in the band, “It was pretty intense”, auditions are rigorous and require hours of practice and effort to succeed. Kamil Lebowa, the second chair clarinet in Wind Symphony, comments regarding the audition process, “the audition process is very vigorous for me,” There are four aspects of the audition, a lyrical etude, a technical etude, a set of scales, and a sight-reading assignment. Lyrical etudes test rhythm and note knowledge and are selected based on what instrument the student plays. The technical etudes feature difficult notes and range. These are the same for everyone auditioning. Students have the option of either playing the ILMEA (Illinois Music Education Association) scales or BHS scales, although ILMEA scales are more technical and weighted heavier in the Audition. The sight reading is completed at home the day of the audition. This tests the musician’s comfort level with unfamiliar music, as well as adaptability to new pieces. If a student has gotten into the band, they can expect challenging music coming their way. A feature piece of last year’s band was, “Rocky Point Holiday” which was rated a 6/6 on the music grade difficulty scale. While this isn’t an average level piece for the band, says Tharp, it made a stunning conclusion to their final concert. Wind symphony has taken part in many competitions. The most recent being Super State, which took place at the University of Illinois last year. In order to prepare they had several extra practices after school for a few hours. These practices occurred a couple of times per month, usually on Wednesdays. Although Wind Symphony is difficult to join, members say it’s more than worth it. 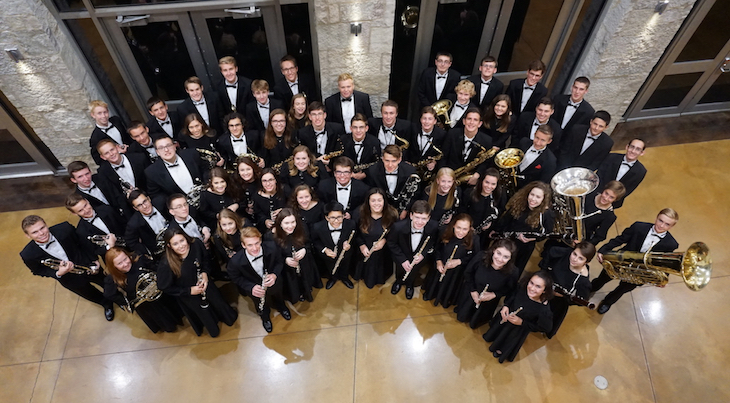 From competitions to exposure to advanced music, Wind Symphony is for those band members looking to achieve the highest level of music education at BHS. This article makes me look forward to one of their concerts. I had no idea how competitive the auditions are. Well done!